Do you wish that you could practise with a qualified, native speaker, and other learners who are not your colleagues? Is your schedule too busy to accommodate a regular course every week? Would you like to be part of a private and supportive network where you can develop your English skills with a focus on business English? My business English club ticks all these boxes. Why not come and join us? A live training session in the Facebook group, followed by a Q and A session. If you can’t be there, the session will be recorded. 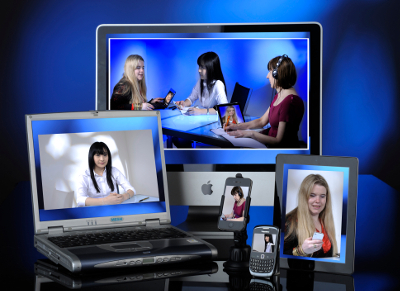 Two online conversation group meetings, one during the day and one in the evening (UK time). You’ll have the chance to practise speaking English in a relaxed atmosphere, away from your place of work. 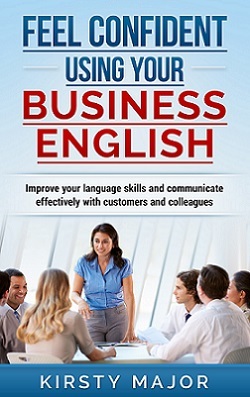 Access to a secret Facebook group for the Business English Club members. You will be able to practise writing English with us whenever you have some free time. Comment on the discussion articles or the monthly challenge, share your ideas, questions or problems about English and receive support in a friendly and relaxed environment. A monthly challenge with personal feedback on a writing or speaking task. Completing the tasks is optional, but if you do, you’ll be able to develop your writing or speaking skills and have private, individual feedback from a qualified business English trainer and former communications Manager. Business and language-related articles, discussion topics, grammar explanations and resources to help with your learning. For anyone who doesn’t use or have access to Facebook, the group also has a private members’ page on my website, where you will have access to all the training materials and be able to comment on the topics and articles. There is an optional email notification service for anyone who wants to be kept up-to-date about additions to the group page. You receive all the above for just £15 per month. Membership is on a monthly basis, so you can choose how long you would like to stay and you don’t have to worry about committing to something long-term. Reminders will be sent out towards the end of the month and you choose whether you would like to renew your membership. Alternatively, you can also save money by paying for several months in advance. Paypal will calculate the conversion into British pounds for you and display how much this will be in your local currency. If you’re interested in signing up for the club, fill out the form and I’ll contact you by email. After you have paid your invoice, I will invite you to the Facebook group, where you’ll find further information about the training. Topic: meetings – contributing to them, leading them and getting the best out of them! Week 1: the January task will be posted in the Facebook group. Week 4: Evening conversation group. Details of the challenge for January and other resources will be provided in the Facebook group and on the group’s private web page.